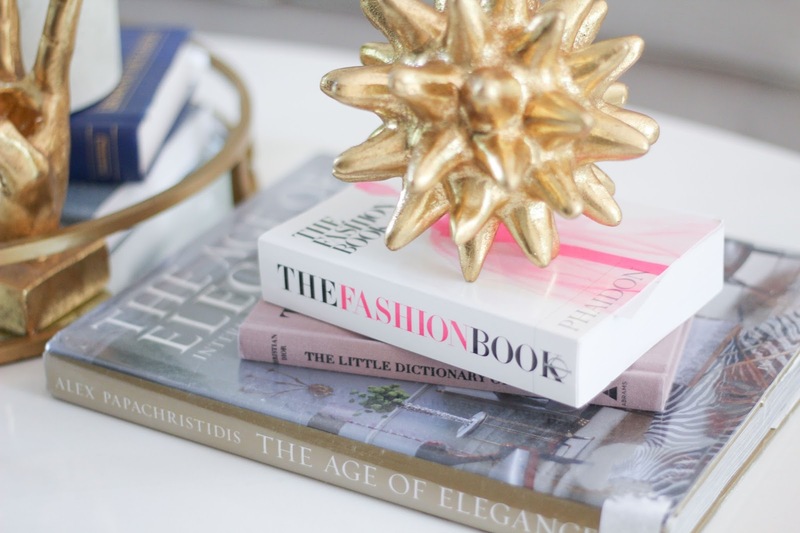 Today I am so excited to share with you a little sneak peek of our living room with High Fashion Home. I have been working on this space for weeks and weeks, and it is finally starting to come together. Let me tell you, this interior decorating thing is harder than it looks. I’ve realized that trying to chose individual pieces is the easy part, but making sure they all flow and stick to your theme is a lot harder. 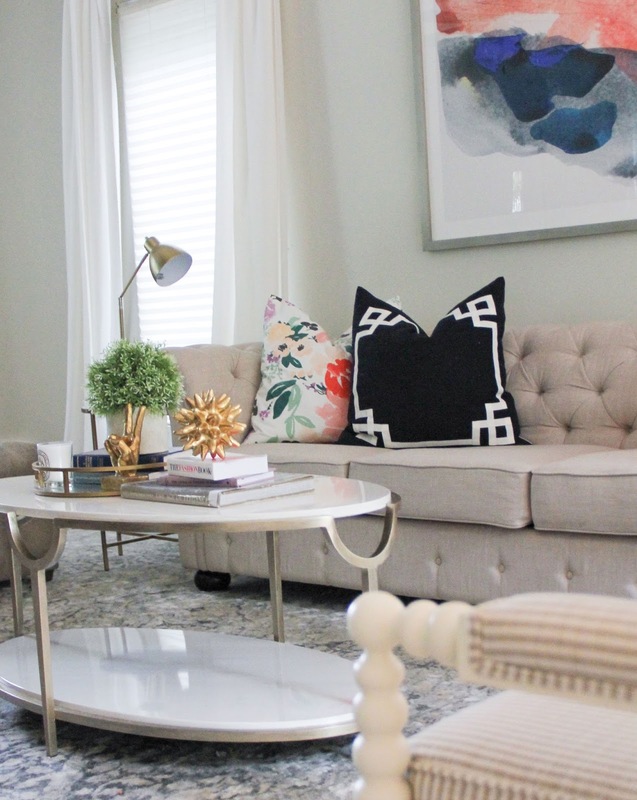 There are so many rules when it comes to choosing the right furniture I never thought of. One things for sure though, I am not regretting my choice of a coffee table. My original thought was to get an ottoman, but I didn’t want to get leather since that can add weight and darken the room a bit. I pondered the idea of an upholstered ottoman in a light color, but that just gave me a headache thinking about one more thing I had to worry about cleaning. So, I decided a marble table was best and would be easy to clean up if the kids made a mess. I found a few I liked but they were all rectangular shaped with of course sharp edges. My littlest boy has slight CP and doesn’t have the greatest balance, so I decided no sharp corners and something oval shaped was best. 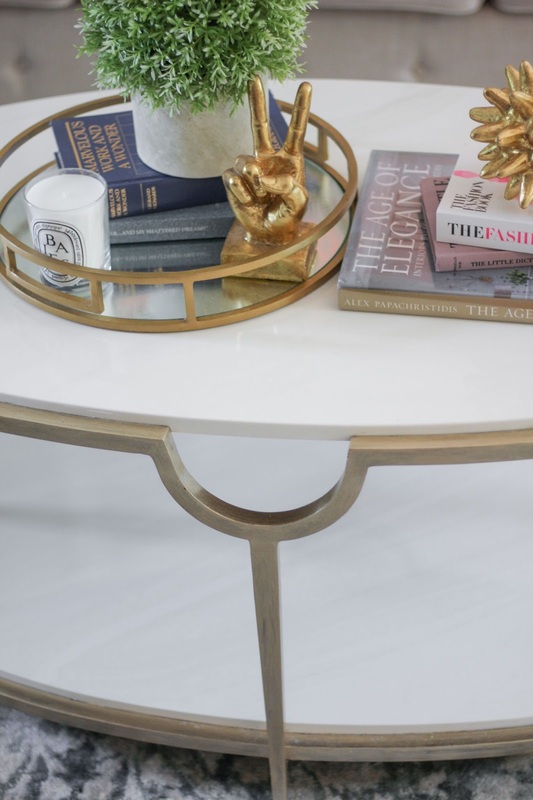 To my delight, I found this gorgeous marble coffee table from High Fashion Home and immediately fell in love. 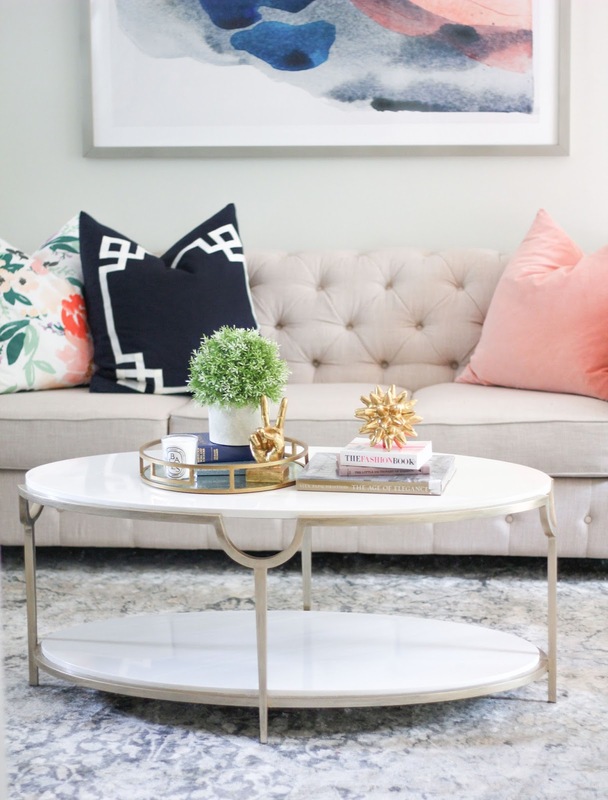 The quality is great and I love that it complete the room with a light and airy look. I hope you all love it as much as I do. Note: The metal was a bit darker than I would have liked, but I LOVED the oval design and everything else. 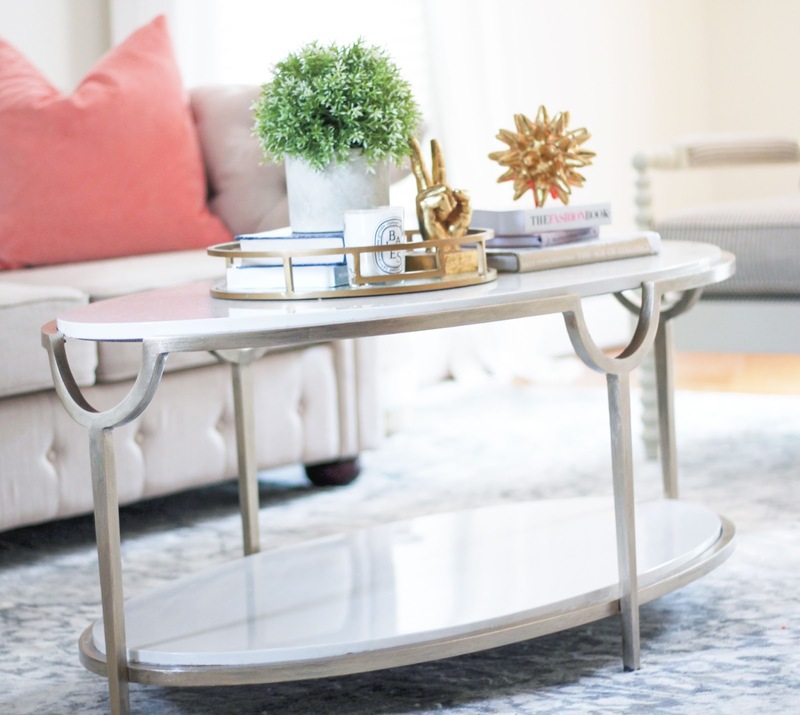 (Finding a good looking oval coffee table is harder than one might think) So, I used this paint in champagne gold, and this paint brush to lightly paint over the metal. It took less than 20 minutes, and only one coat. Easiest thing ever, and it made such a huge difference. Use blue masking tape to cover the table so there is not paint transfer onto the marble. Where can I purchase this gold peace sign hand? I clicked the link and it does not work.. 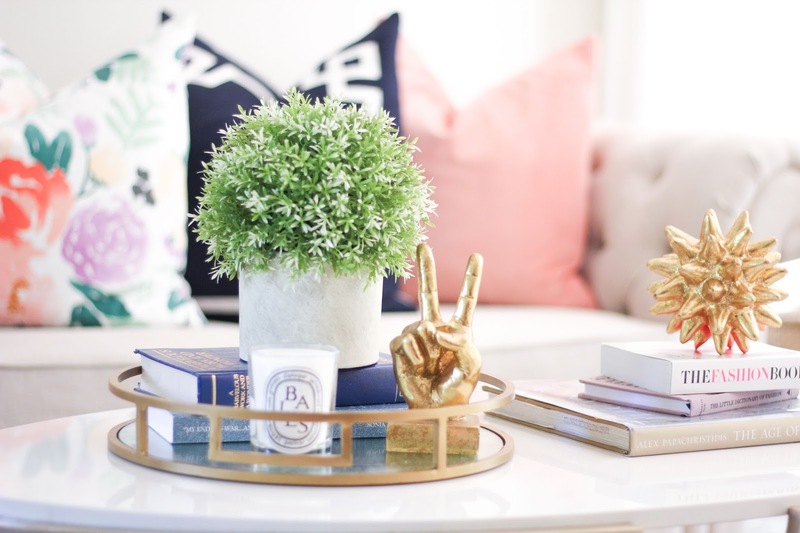 The coffee table is lovely you did a great job styling the room, I love it.